A fantastical illustrated short novel about a boy imprisoned in a nightmarish library. 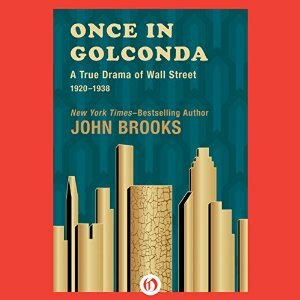 Once in Golconda: A True Drama of Wall Street 1920-1928 by John Brooks. A dramatic chronicle of the breathtaking rise, devastating fall, and painstaking rebirth of Wall Street in the years between the wars. Wow, these both look tempting! Thanks for sharing…and enjoy. I just read a review of The Strange Library and it sounds excellent! I hope you enjoy the new murakami! The Strange Library sounds interesting. I read a review of The Strange Library this morning and am very interested in getting this book! The Strange Library sounds good. Have a great reading week! I like the cover of The Strange Library. I hope both are good. 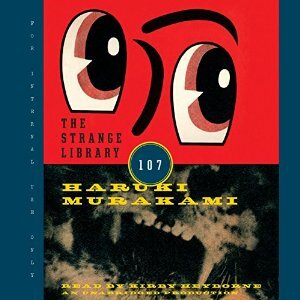 I’l be curious to see what you think of Strange Library — strange yet enjoyable. 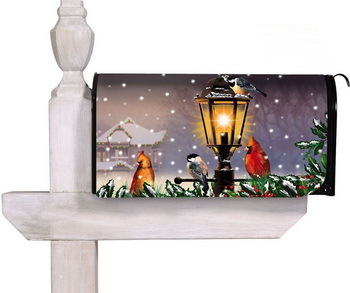 What a cute mailbox cover! Your books are different. I hope you enjoy them and have a good week! Both new to me. Enjoy . I am really curious about The Strange Library.